The Scarab from Mega is the middle child of the Tron family. Larger than a Neutron, smaller than a Megatron. 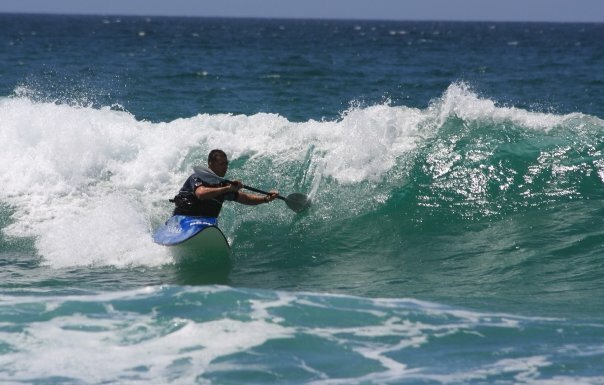 A strong emphasis has be put on power and how the kayak can generate more from the wave, less resistance - the result... With the flat hull low rails and power pocket rear end you will send this boat into orbit. Ski type Ariels, slides,360's and floaters for "big people"! 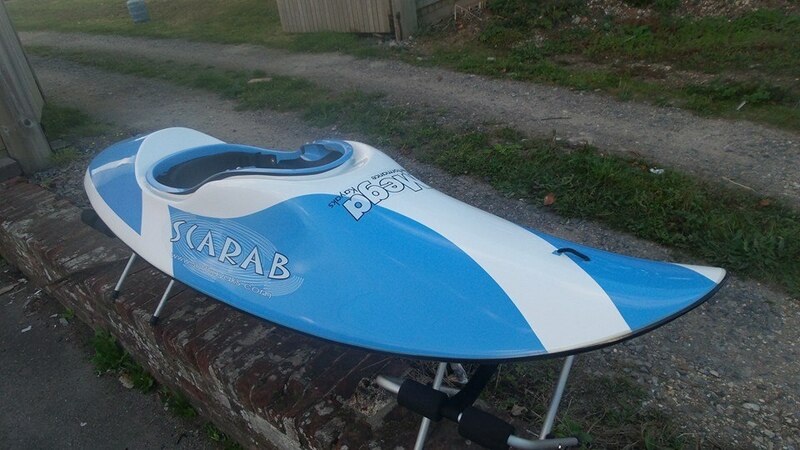 SCARAB "THE BIG PRESONS BIG AIR BOAT"